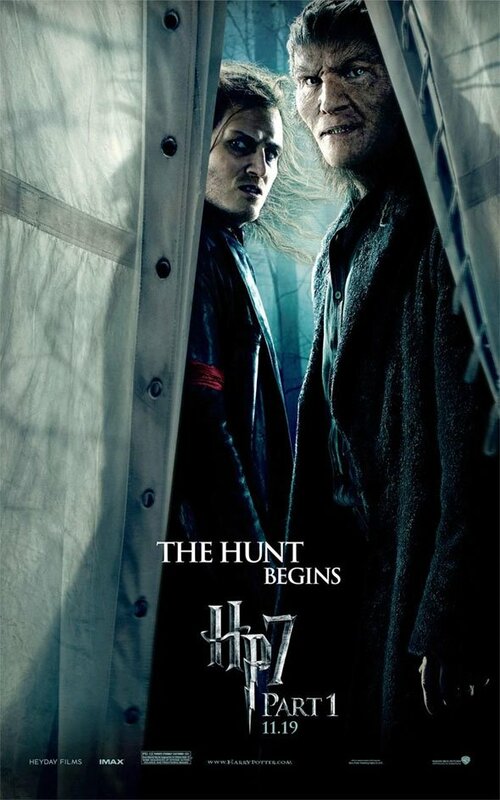 The first of the last two Harry Potter films is fast approaching, and in preparation for The Deathly Hallows Pt. 1, Warner Bros. has released four new posters featuring the film's characters. The poster pairs feature, unsurprisingly, Harry, Ron, and a double dose of Hermione. 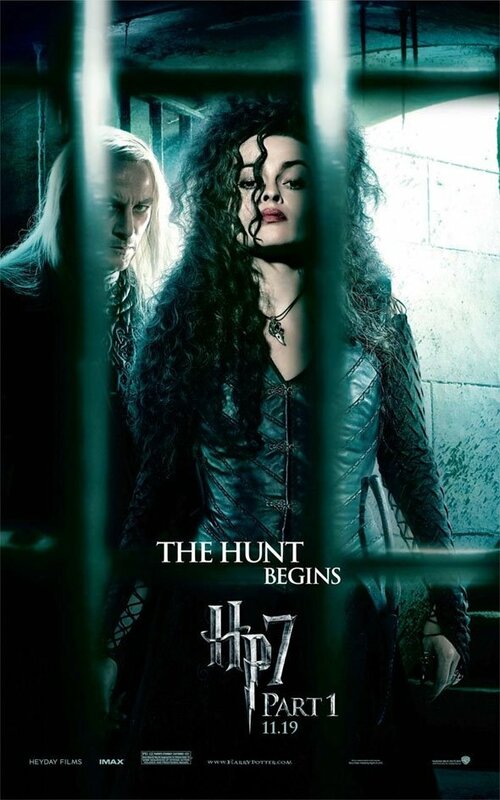 Two more show off Helena Bonham Carter's Bellatrix Lestrange and Jason Isaacs’ Lucius Malfoy; as well as Death Eaters Fenrir Greyback and Scabior. The images come hot off the news that Warner Bros.' 3D post-conversion plan has fallen on its face. Realistically, it might just be a coincidence, but I wouldn't be too surprised if these posters were one of many ways that the studio is using to try and divert focus away from their 3D failure. Not that I'm complaining, that update was good news in my book, but it's strange to see this happen to such a well-funded, high-profile film. Hopefully it doesn't signal any other problems going on behind the scenes. 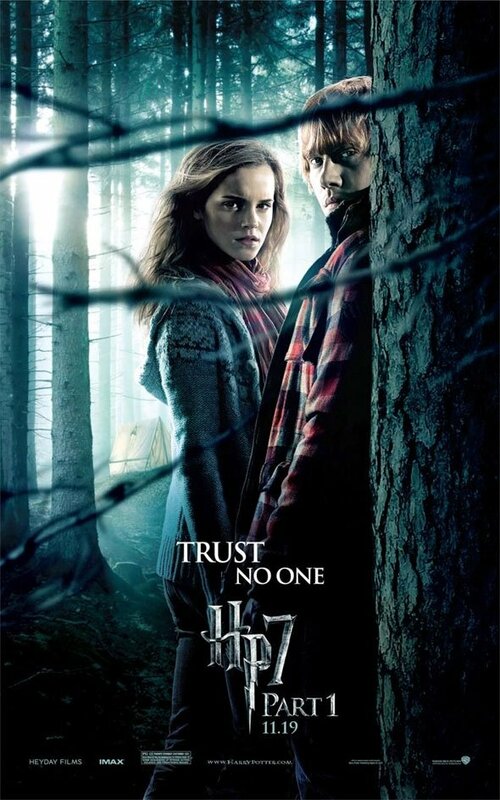 Harry Potter and the Deathly Hallows: Part 1 drops on November 19th. For more pictures and trailers in the meantime, visit our preview page.